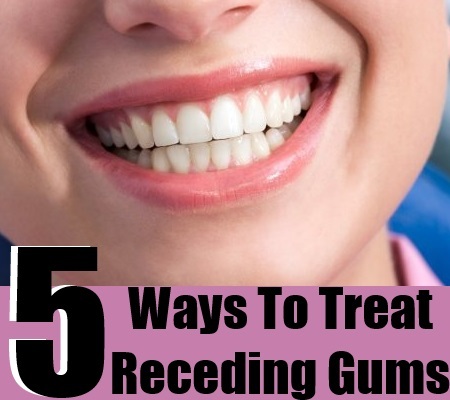 Receding gums is caused by loss of gum tissue and the roots of the teeth are exposed. The gingival margin retracts from the crown of the teeth and pockets or gaps form between the teeth and the gum line. These gaps fill up with disease causing bacteria causing infection and damage to the gum tissue. Gum recession is a common problem especially in adults over the age of forty but sometimes the problem starts from the teens and progresses slowly without the person even being aware of it. Gum recession leads to gum diseases such as gingivitis and periodontal disease in which the bacterial infection erodes the gum tissue which supports the bone that hold the tooth in place. Harsh and aggressive brushing wears away the enamel at the gum line and improper flossing can cut into the gums. Sometimes the stomach acid also damages the gums and insufficient oral care causes a build up of plaque and tarter which also cause gum recession. Tobacco products are another major cause of gum recession as they cause a buildup of sticky plaque which is very difficult to remove. Take a teaspoon of mustard oil and mix it with a quarter teaspoon of salt. 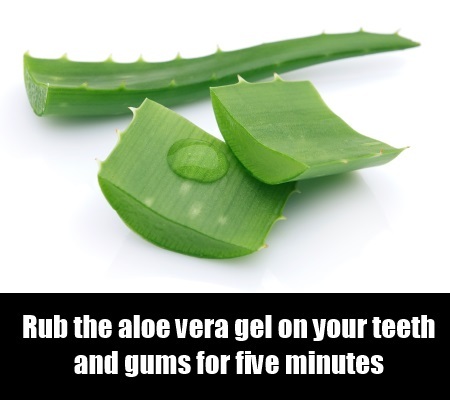 Massage your gums with this mixture for five minutes twice daily. 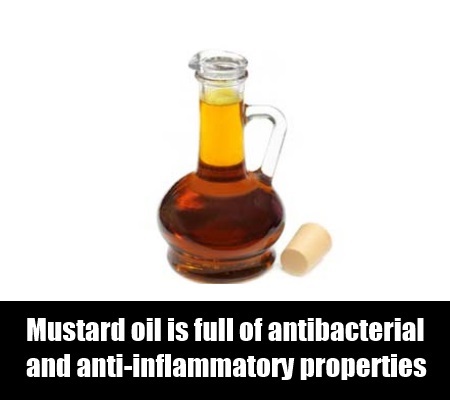 Mustard oil is full of antibacterial and anti-inflammatory properties which will deal with bacteria and repair the damaged gum tissue. The massage will also stimulate the blood circulation and will help keep the gums in a healthy condition. Take a glass of water and add a few drops of tea tree oil to it. 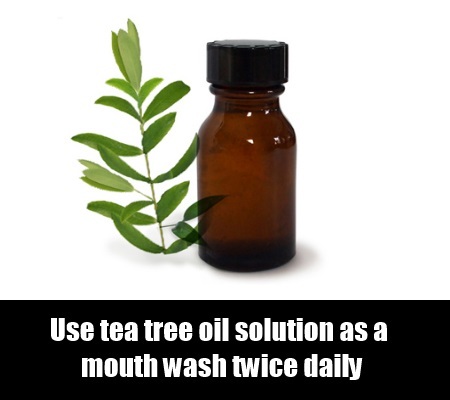 Use this solution as a mouth wash twice daily. The antibacterial and antimicrobial properties of tea tree oil will soon get rid of the offending bacteria and will restore gum health. Aloe vera is full of antibacterial and anti-inflammatory properties which can address all kinds of oral diseases and disorders and keep the gums and the teeth in excellent health. Take a fresh aloe vera leaf and skin it to remove the gel. Rub the gel on your teeth and gums for five minutes then keep it for another five minutes before rinsing your mouth with water. Use this remedy thrice a day preferably after a meal to reverse the recession of the gums. 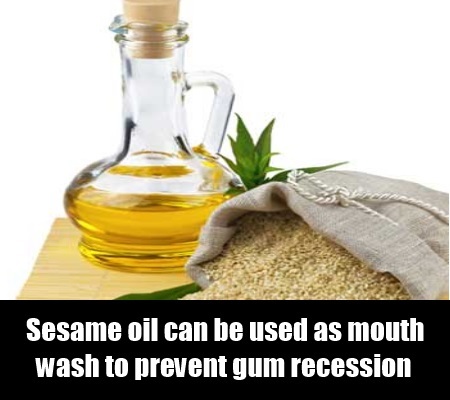 Sesame oil can be used as mouth wash to prevent gum recession and to destroy the bacterial infection. Fill your mouth with some sesame oil and swirl it around your mouth. Then with a sucking motion pull the oil between your teeth to remove all the food debris, bacteria and plaque. Do this for five minutes twice a day. Sesame oil will also provide a protective coating to your teeth and gums from the effects of the stomach acid. 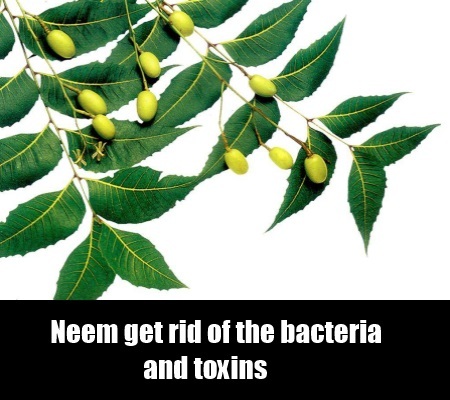 Boil a few neem leaves in a pan of water for a few minutes or until the water turns green. Filter the water and use it as gargle. Rinse your mouth well with neem water two or three times daily in order to get rid of the bacteria and toxins and to maintain the health of your gums and to prevent them from receding.